The iterative closest point (ICP) algorithm is used to fine tune the alignment of two point clouds in many pose estimation algorithms. The uncertainty in these pose estimation algorithms is thus mainly dependent on the pose uncertainty in ICP. 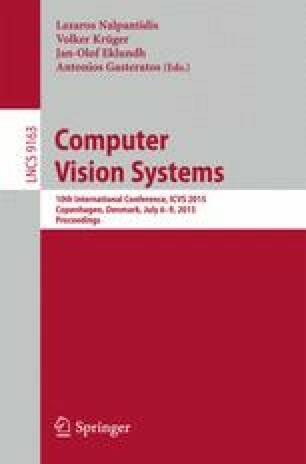 This paper investigates the uncertainties in the ICP algorithm by the use of Monte Carlo simulation. A new descriptor based on object shape and a pose error descriptor are introduced. Results show that it is reasonable to approximate the pose errors by multivariate Gaussian distributions, and that there is a linear relationship between the parameters of the Gaussian distributions and the shape descriptor. As a consequence the shape descriptor potentially provides a computationally cheap way to approximate pose uncertainties. The research leading to these results has been funded in part by Innovation Fund Denmark as a part of the project “MADE - Platform for Future Production”.